You can order these online! 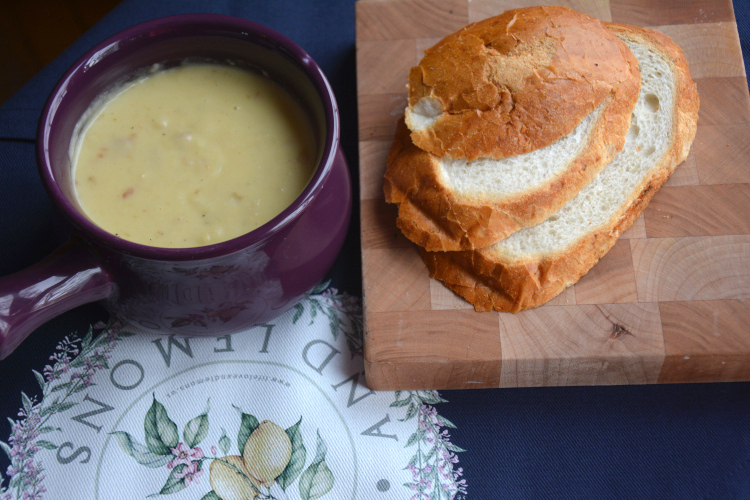 I flash blended this recipe because my husband just had oral surgery and chewing was not really an option available to him on the day I made this soup. One of the necessary pieces of equipment I keep in my kitchen is a Cuisinart flash blender. This is an inexpensive little magician that is great for puréeing soups and will bail you out if your soups or sauces develop unwelcome lumps. 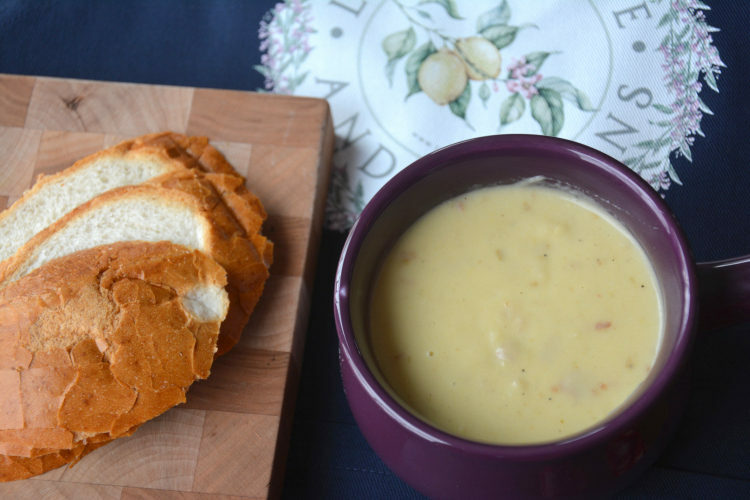 Serve this recipe on a chilly evening with a crusty bread and butter for a simple, flavorful and frugal supper. Melt butter in a large saucepan. Do not let it brown. Add chicken stock and chunked potatoes and allow to simmer until potatoes are very tender, about 30 minutes. Add green chiles, salt and pepper. Remove from heat and flash blend until you reach desired smoothness. Add cream, milk and cheese and cook, stirring gently, over low heat until well blended. Serve immediately with crusty bread and butter.